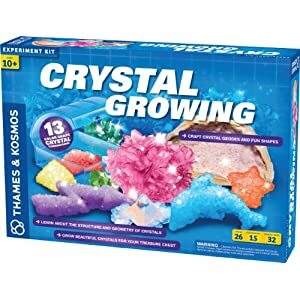 Looking for a way to teach your children on how to really appreciate agriculture and have a practical experience using sand, water, seeds, and a bunch of farming equipment to work with. 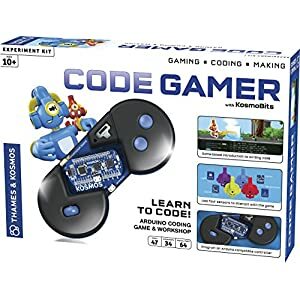 This product comes with a 16-page storybook that doubles as a manual that teaches you how to use it. 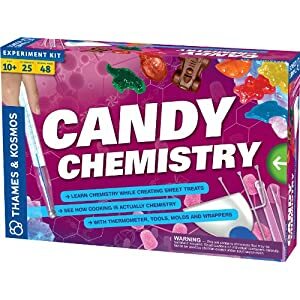 Get to know all about Thames and Kosmos Barbie Plant Science Experiment in this article. 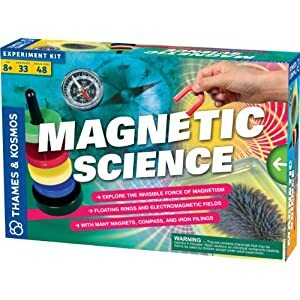 This Plant Science Experiment Kit was specially designed by Thames and Kosmos Company for people within the age range of 4 to 25 years old. It offers you practical knowledge of Plant Biology by allowing you to plant up to 6 seeds and observe the effects of water, soil, soil contaminations, and sunlight on the growth of that plant. 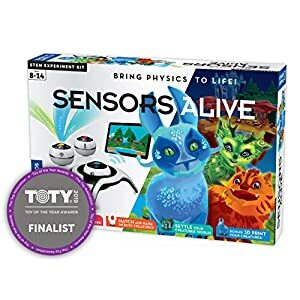 This product comes with peas that you can plant and make to follow the direction of the maze you create for it. You will also find four different flower plants in the package; these include zinnia, phlox, marigold, and dianthus. You will also find flower pots in which you can fill up with sand and plant your flowers. That is not all; you also have the opportunity to decorate your garden and greenhouse with seed bombs and plaster stones. Agriculture is one of the most important activities of humans, and as a matter of fact, without agriculture, humans will not exist at all as food is a necessity of life. This is why some form of awareness need be created in the minds of younglings especially children who are above 4 years old. 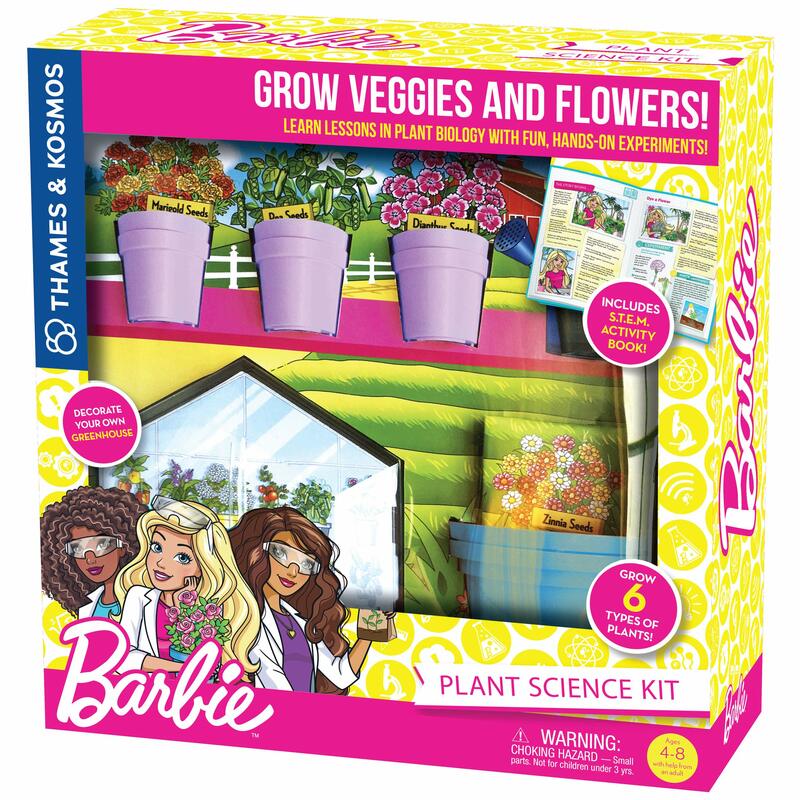 The Barbie Plant Science Experiment Kit comes with a storybook that will aid your child in the farming adventure. 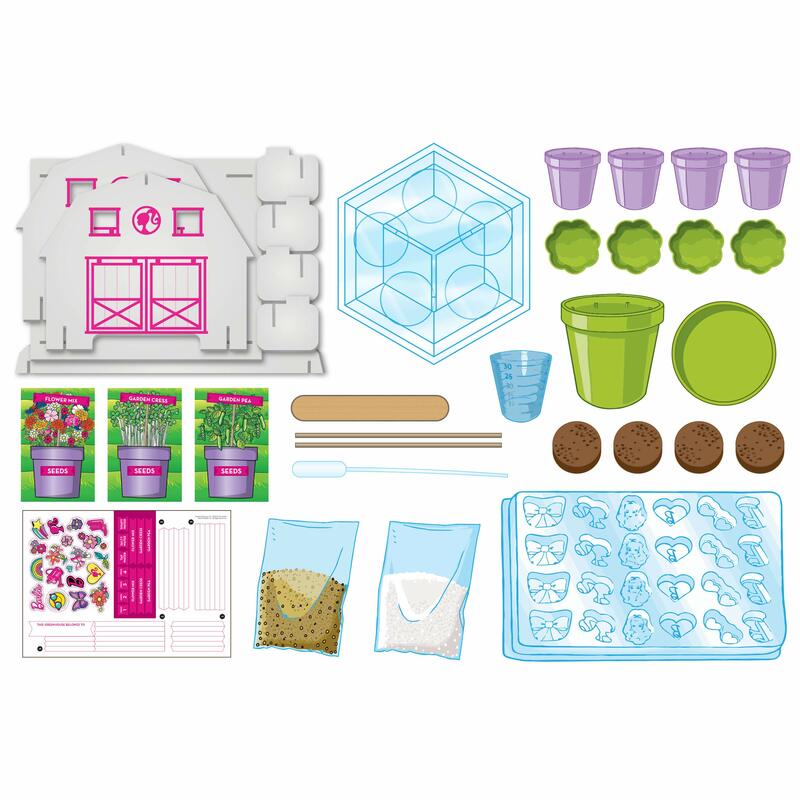 Other features and properties in this product are a greenhouse, six different types of seed plants, soil pellets, plant dishes and pots, a little spade, and other forms of farming equipment. These accessories will not only add to the fun but, they are also a means to educate children on the forms of farming tools that exist. 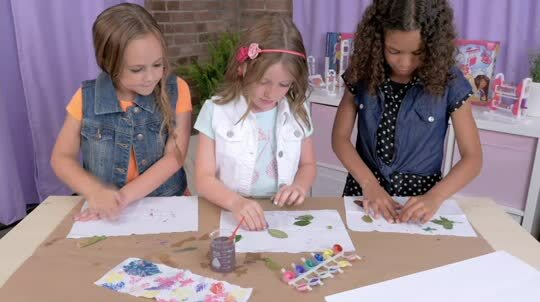 Agriculture is very important and essential to human existence, so it is of great necessity that you teach your children on how plant science works. 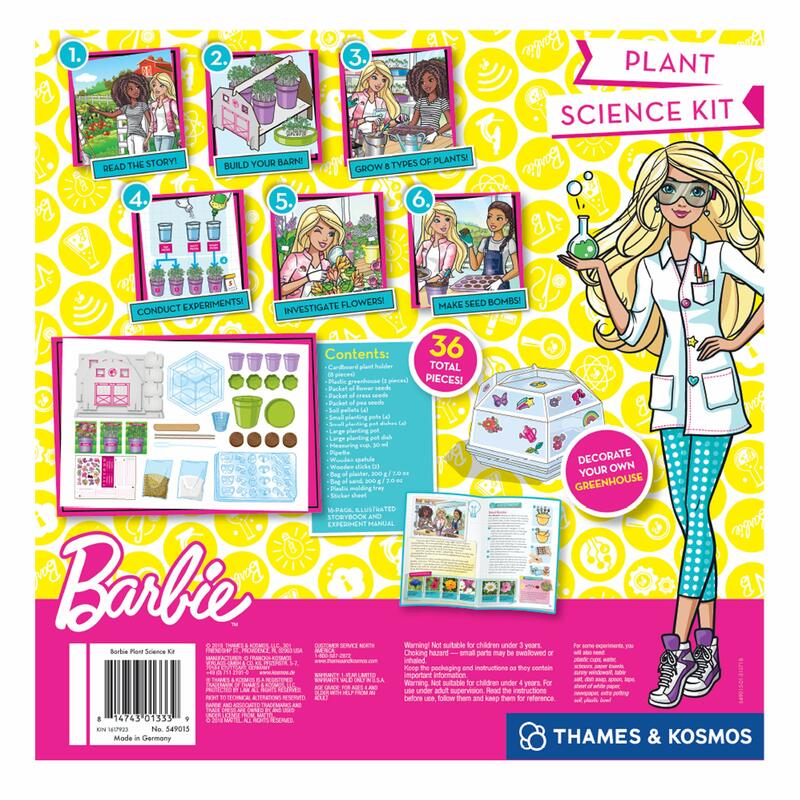 The Barbie Plant Science Experiment Kit designed by Thames and Kosmos is the best way to do this. Try it out today or check out more vocational education packages here. 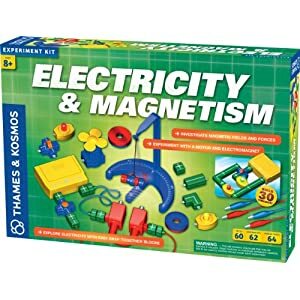 This entry was posted in Educational Toys and tagged barbie plant science kit, barbie science kit, barbie science toy, barbie vegetable and flower farm, experiments with plants.